The ticket, lottery officials learned, had been bought through thelotter.com, a company based in Malta, but had been printed out in a little deli on the outskirts of Bend, Ore., called Binky’s. He told lottery officials that he had set up a bank account in Oregon where he wanted the first of 20 annual payments of $158,720 to be deposited, and that he intended to give the money to his two sons. Sean Riddell, a lawyer for thelotter.com, said the Oregon Lottery winner was still in the United States, but declined a request for an interview. Nor, Riddell said, would the man comment on his work or other details of his life in Iraq, or how he had acquired his visa to come to the United States. 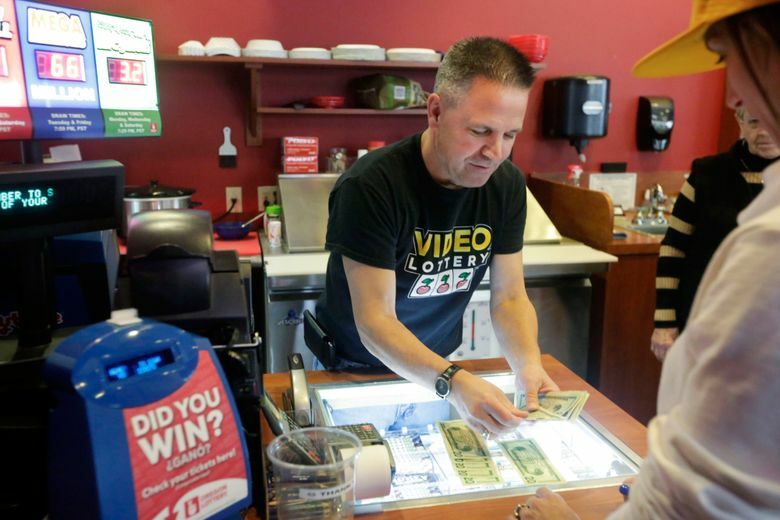 The Oregon Lottery’s director, Jack Roberts, said that an investigation was continuing into whether international lottery ticket sales are entirely legal — he said he had his doubts — but that the winner had done nothing wrong as far as anyone could determine. Everything checked out, Roberts said, most crucially the six winning numbers on the ticket. So the check was cut. Roberts said “yes” to anonymity, as well, although he added that a court could overrule him if the decision was challenged. Foreign residents have played and won U.S. state lotteries before. A group of Australians won $27.6 million in the Virginia Lottery in 1992. But that was before Internet commerce or online gambling existed in any widespread form. In 2012, two foreign residents won prizes through tickets in U.S. lotteries bought through thelotter.com, the company said, although those prizes were much smaller than the one claimed by the Iraqi man: $1.25 million between the two winners. The lotter.com said in an email that it made no wagers itself, or transferred any lottery tickets by mail or Internet, but that it instead provided what it called “a messenger service,” using people who walk into shops like Binky’s and plunk money on the counter. On its website, the company says that it makes its money in transaction fees for the ticket purchases and that it collects no percentage of winnings. In Oregon, it was up to Riddell to provide proof that the local chain of custody of the winning ticket was unbroken from its purchase in August until the winner’s arrival, just in case any questions arose. He dispatched a private investigator to Bend to make sure. Finally, the ticket went into a bank safe-deposit box. Back at Binky’s, Christmas came early with a $64,000 check that arrived out of the blue, a 1 percent bonus from the Oregon Lottery for having sold a winning ticket. “We’re going to be using it to take care of the stuff we really need, and keep things going,” Bell-Putas said.